Our WIND BIONIC ROBOT™ is the funnest toy ever! It's Amazing for teaching kids the power of wind and the basics of physics. There is now a way to keeps kids busy while also letting them learn at the same time. It's super fun for kids and parents to play and build it together! 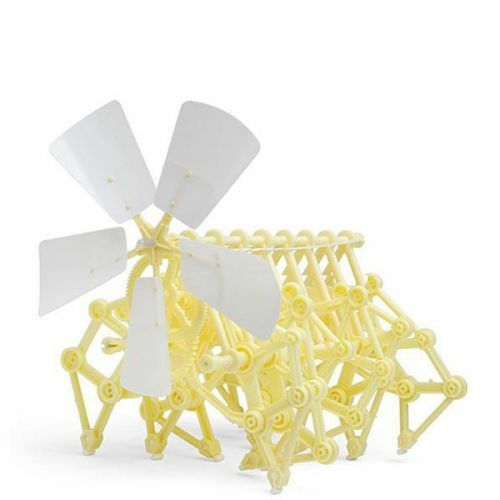 Can be placed in a windy environment, such as the beach or a field and it will walk on it's own! Helps to cultivate an intereste in science. It walks on the wind, by hand or by blowing against the propeller. Size: 18.5 x 12 X 17cm (W x L x H ). 1 x Wind Bionic Robot.